Kishore Dayani comes from Bihar. He is cynical about things which are happening in the society. He, at large, talks about what has been happening in his life and how day to day things effect him. How being a Bihari, he was a misfit in the fast-paced life of Delhi and how he coped with that. He adds a pinch of sarcasm and a dash of satire in everything that he says and does. He has turned down marriage proposals for Priyanka Chopra and Katrina Kaif&#39;s look-alikes. 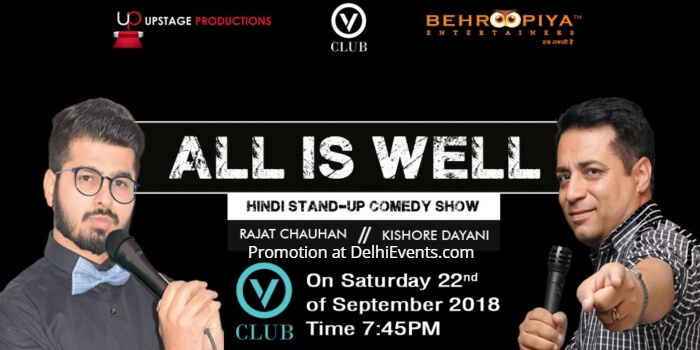 Rajat is a Delhi-based stand-up comedian. An engineer by education and stand-up comedian by heart, his sharp observational skills make daily ritual little more interesting. Being born and brought up in Delhi has already given a new meaning to his life altogether. Schooling with Jatts/Punjabi/Baniya has helped evolve him into a proper Delhiite. In free time, he keeps staring at Hanuman Ji statue at Jhandewalan.